Tennessee is no stranger to uninsured drivers. Getting caught without car insurance will result in several different penalties.Tennessee has recently increased penalties for those drivers who choose to drive without the minimum coverage. The state is currently in the process of building a car insurance verification program. These programs have been proven by other states to make a huge impact on reducing the number of uninsured drivers on the road. 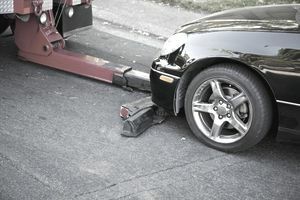 Car Towed: Not many states have uninsured vehicles towed. It will be a huge inconvenience and costly too. Paying for the tow fine plus the daily impound fee can add up. Combine it with the $300 fine, and it is going to be tough to get back on track financially for many drivers. Many drivers simply can not afford it. Unfortunately, the cost of not having car insurance can be even more expensive. Causing a car accident and not having car insurance can lead to you personally paying for all damages out of pocket. Most people are not able to pay up and have no choice but to file bankruptcy, losing everything in the process. Car insurance can be very expensive. For those people directly impacted by uninsured drivers, that is no excuse. Nobody plans on getting into an accident, but that is the exact reason for purchasing car insurance in the first place. Protection against what could happen. The more insured Tennessee residents, the better the cost will be for everyone. Is $19 Car Insurance For Real?